This a video by the Jamaica Gleaner, that highlights some aspects of the life of Byron Lee, the Jamaican musician and band leader of ‘Byron Lee and the Dragonaires’. He spent over 50 years in the music industry. 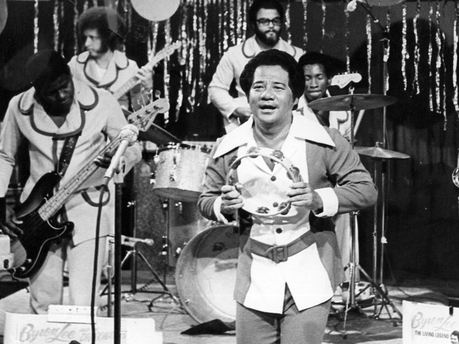 Iconic Jamaican bandleader and producer BYRON LEE has lost his battle with cancer at the age of 73.The Dragonaires founder, who inspired many stars with his reggae, ska and rocksteady hits, died on 4 November 2008. In our last article, the Music Diaries focussed on Byron Lee’s early years as an unpretentious musician who, along with his St George’s College teammates, started playing music with makeshift instruments as a form of celebration after football games. Soon, life was more than football as the band got better, mainly through the assistance and encouragement of old boys, friends and his alma mater. Then came his inclusion in the popular James Bond movie, Dr No, which gave them that all-important financial ‘push’ that they desperately needed. Here are the TOP 100 – most popular posts on the Guyanese Online Blog/Website during the month of April 2012. Click to view the item. During the month of April the Guyanese Online Blog had 44,176 views from 147 countries around the world, although the top-3 viewers live in the USA, Canada, the United Kingdom. WordPress.com supplied us with these statistics which we share with you.